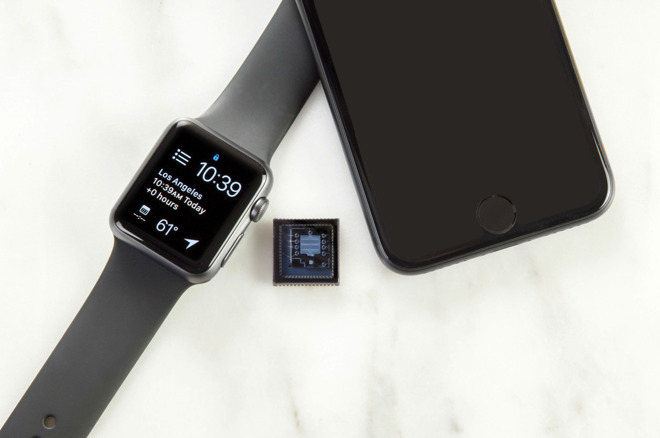 Si-Ware on Tuesday revealed an iPhone-compatible spectroscopy chip, the NeoSpectra Micro, which could potentially expand the uses of both mobile devices and wearables in areas like health, science, and nutrition. The company is demonstrating an iPhone case with the chip that can analyze food and drinks for things like caffeine and gluten levels, according to Digital Trends. 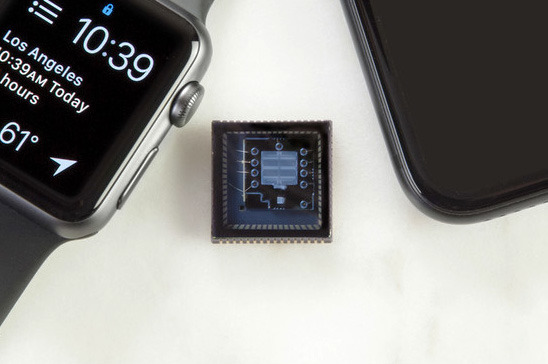 Because the chip measures only 18-by-18 millimeters, it could be conceivably be built directly into phones and wearables, in the latter case scanning for factors like glucose levels. Spectroscopy involves analyzing the wavelengths absorbed and emitted by materials, giving a glimpse at their chemical composition. Si-Ware is said to be marketing the Micro directly to device manufacturers, planning mass production for the fourth quarter of the year. Developers should have access to units with the next month or two. The company is hoping that spectrometers will eventually become a common feature of consumer electronics, much like accelerometers and gyroscopes. The Micro does cost $100, however, likely making it impractical to build into a product like Apple's iPhone without jacking up prices, at least in the the chip's current incarnation. Apple has sometimes been rumored as wanting more advanced biometrics sensors on the Apple Watch, going beyond the motion and heartrate sensors found on current models. A recent report, however, hinted that Apple is dropping those ambitions for a third-generation model, instead focusing on a faster processor and better battery life.